Francisco Pizarro is a explorer who has done many things in his life 1 is in this presentation.Born in Trujillo,Spain his mom and dad were poor farmers born around 1474.Francisco Pizarro had 6 siblings 4 brothers 2 sister. They’re names are Gonzalo, Juan, Francisco Martin, Hernando. His sisters are named Ines and Isabel. He never learned how to read or write. Pizarro had to take 3 trips to get to the Incan empire his destination. He first heard rumors of a city made of gold and had tons of riches .So he started a journey to reach the place. Pizarro found the capital of Peru Lima after taking over the Incas. One hardship was trying to take over the Inca empire. Another Hardship came before that trying to get to the Inca empire. When Pizarro was trying to get there it took him 3 tries. The first 2 tries were sponsored by the governor of Panama. But the second try they were ordered to come back. Then Pizarro went to Spain to be sponsored by their king. Finally he reached the Inca empire. During a voyage with Vasco Nunez de balboa Pizarro and balboa found the pacific ocean. Also an accomplishment is him conquering the Incan empire. Pizarro had a war with the Incas that lasted a very long time but with guns and swords Pizarro's men eventually won. Francisco Pizarro had a dispute with an explorer named Diego De Almagro. After the dispute Pizarro killed Diego. Later on Followers of Diego De Almagro assassinated him. 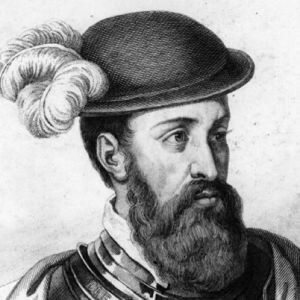 He died on June 26 1541 and was assassinated in Lima. He was the second cousin once removed of Hernan Cortes the conquistador who took over the Aztecs. Hernando De Soto was apart of Pizarro’s group conquering the Incas. Francisco was accompanied by his brothers Gonzalo, Hernando, and Juan during his campaign to conquer the Incas. Pizarro’s force to conquer the Inca had less than 200 men and were able to kill 2,000 and take 5,000 prisoner.